I’m often asked about my views on food and occasionally about wine but very rarely about the two in conjunction with the other. For me, a good wine pairing elevates a dish to something far greater than the sum of its parts – the wine an integral part of the dish resulting in something truly special. The textures and flavours of the wine, melding and weaving themselves with the food. Take Ernest Hemingways quote and imagine eating a beautiful fresh oyster straight from the sea. Perfect right? 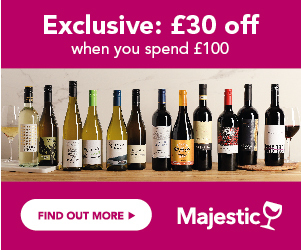 Now imagine a sip of chilled Picpoul de Pinet to go with it…. Suddenly you have found another level of perfect – this is the magic of food and wine. Add spices into the mix and all the incredible layers of flavour that they lend to food and you have an even more complex relationship between the food and the wine but one that if you get right can deliver sublime results. Traditionally food deemed ‘spicy’ was the realm of cold, non-descript lager – fiery curries from India and Thailand relegated to sit at the d-listers table along with pints and pints of insipid amber mediocrity. Thankfully this is changing and a greater understanding of the way spices can interact beautifully with wine means more and more choices for you, dear reader, to pair intricately spiced food with wine. At this point please remember that spice DOES NOT MEAN HEAT! Chilies mean heat and spices give us wonderful depth and complexity to our cooking. I do find reds a bit trickier to match with spiced food. I usually prefer lighter reds when I’m cooking with spices but that’s not always the case. Imagine a cannon of lamb cooked medium rare and rolled in a spice crust of fennel, black pepper and coriander seed or a gorgeous beef rendang. For me a big bold Aussie Shiraz with its own spice notes works beautifully with dishes like these. Other options are Carmenere, zinfandel and I also like lots of the wines of the Rhône as alternatives. I guess, as with any food and wine pairing, it’s a question or balance but more importantly a question of what YOU like not what you are told to like. So, go forth and experiment! Buy in a mixed cased of a dozen bottles and see what you like with your food. It may be with takeaway from the local Thai or it may be to go with an Indian feast you have spent all day on but either way enjoy the journey and savour the results. 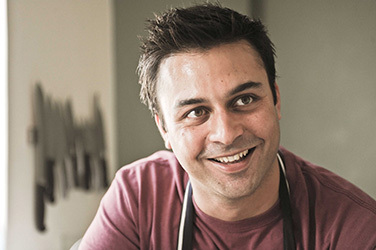 After winning MasterChef, Dhruv Baker worked for various famous restaurants and finally set up his own private catering and events company called Earlsfield Kitchen. He is also a presenter for Waitrose TV, a contributor for a few food magazines and a brand consultant for a number of food brands.